Microsoft’s Windows brought to 78.6% of operating system revenue all over the world in 2010, up almost a complete percentage point, in spite of increase in Mac desktops and Linux servers by Gartner analysis. Gartner’s new analysis reckon up the income for both desktop and server operating systems all over the world, comparing Microsoft to Apple, Oracle, HP, IBM and Red Hat. Windows has prevailed the desktop market for a long time but it has had a stricter fight on the server side. Putting the two segments together exposes Windows grasping $23.8 billion in 2010 profit, up from 2009 when Windows lead to $21.9 billion and 77.9% of the market by profit share. Maker of mainframe and Unix operating systems, IBM took the second place in 2010 with $2.3 billion income and 7.5% of market share. Notwithstanding the top Linux vendor, although, the top Linux vendor, Red Hat, accounted only for 2% of share and 1.7% of Apple’s Mac OS, according to Gartner Mac desktops and Linux servers are on the rise. As Gartner said Mac OS and Linux server were the promptest-growing sub-segments in the client and server OS segments, correspondingly, whereas Microsoft kept up its outstanding position in the overall OS market. 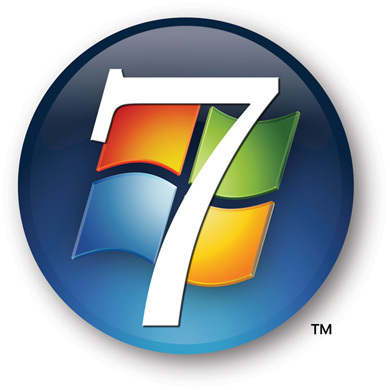 Growth of Microsoft was impelled by positive adoption of Windows 7 and the PC refreshment cycle. $17.7 billion of OS revenue were accounted by Windows desktops, and 96.6% of worldwide desktop share that followed at 2.8% of Mac and at 0.6% of Linux. Counting not by unit share but by revenue, may help Microsoft’s cause. Windows gets 89.6% of share by number of users provided by Usage tracker Net Applications, whereas StatCounter deliver Windows 91.6% of users and the rest coming mostly to Linux and Mac. Windows earned $6.2 billion income, for only over 51% of the market, on the server side. HP’s Unix systems got 8.6%, then IBM’s Unix got 8.5%, while Linux as a whole got 8.4% and IBM’s mainframe took 7.8%. The little expenses of servers operating open source Linux, of course, arises in a revenue share that proves to be much lower than the unit share. According to W3Techs ongoing survey of the top million websites Linux and other Unix-like systems take 64.1% of Web server OS unit share, compare with Windows 35.9% and it is almost zero for Mac OS. These numbers have brought people like Jim Zemlin, Linux Foundation to boast that in spite of Linux small revenue it powers the most of Internet traffic. The whole operating system market increased 7.8% to 30.4 billion in 2010 revenue, with desktop system heading the way, according to Gartner. What category is not included in Gartner analysis is the mobile operating system. Deployment of Apple’s iOS and Android account for a little portion of joint OS use as yet, but it is increasing promptly owing to expansion of tablets and smartphones. Net Application that mingles mobile and desktop operating systems discovered that Apple’s iOS increased from 0.81% to 1.87% last year, whereas Windows decreased from 91.3% to 89.6%. According to Microsoft, Windows 7 turns out to be on fire, by selling 350 million licenses and do becoming the quickest selling OS in history. A PC World analysis suggests, while not definitive, that 350 million licenses might practically be a step back for Microsoft, presenting only about two thirds of whole PC sales, it proves to be much lower than typical desktop share of Microsoft. Nevertheless, running usage patterns as pursued by Net Applications exposes Windows share falling slightly, and it is mainly owing to income made by mobile operating systems. IOS that powers iPads, iPod Touches and iPhones, is practically more extensively used than Linux desktops, in conformity with Net Applications. IOS share double of the Linux desktop and over three times higher than Android’s.